The Scrum Guide is Schwaber and Sutherland’s definitive description of the Scrum methodology. 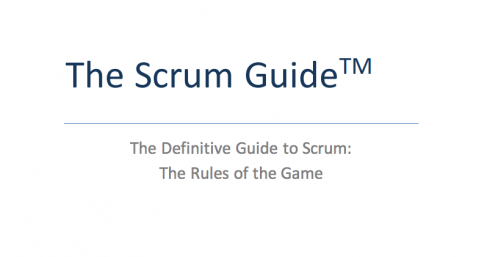 According to the guide, Scrum is a framework used to “address complex adaptive problems, while productively and creatively delivering products of the highest possible value,” according to the guide. 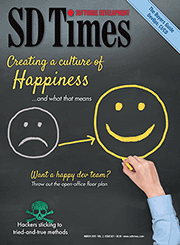 The guide has not been updated since July 2016, when Schwaber and Sutherland added five values of Scrum to the guide: courage, focus, commitment, respect and openness. The guide includes a new “Uses of Scrum” section that explains what Scrum has, and can be, used for. Scrum was initially focused on software complexity, yet the co-creators have found it works in a majority of business and technology areas such as integrated, embedded and advanced technologies. In addition, the guide clarifies that “a ‘Done’ increment is required at the Sprint Review,” and “An increment is a body of inspectable, done work that supports empiricism at the end of the Sprint. The increment is a step toward a vision or goal. The increment must be in useable condition regardless of whether the Product Owner decides to release it.” It further details what a daily Scrum is, and updates the meaning of an increment. The changes were based on community feedback, and made at the discretion of Schwaber and Sutherland.